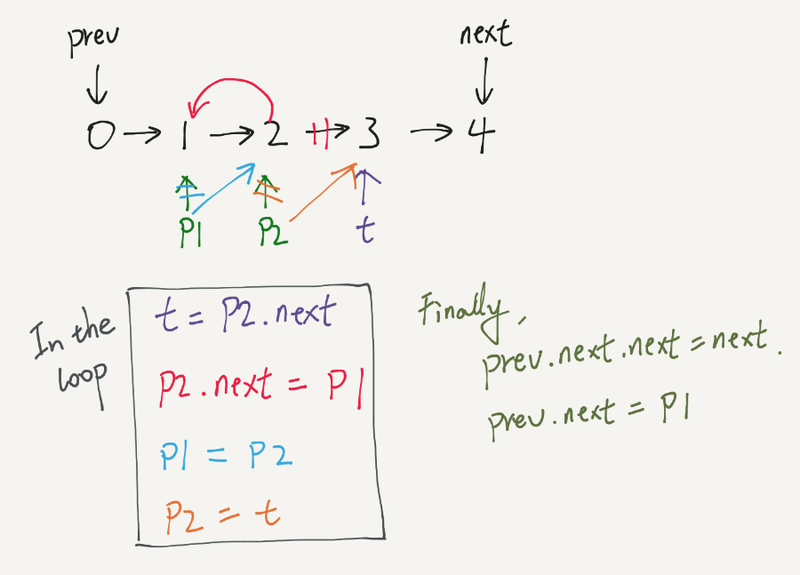 Given a linked list, reverse the nodes of a linked list k at a time and return its modified list. If the number of nodes is not a multiple of k then left-out nodes in the end should remain as it is. You may not alter the values in the nodes, only nodes itself may be changed. We can write the reverse method differently like the following. I personally it is more understandable. Reverse K group using stack.